Alkebulan is the indigenous and Original Name of Africa. AlkebulanCoin is a blockchain based cryptocurrency designed to tokenize the African economy. It gives entrepreneurs advertising rights along with purchasing power. 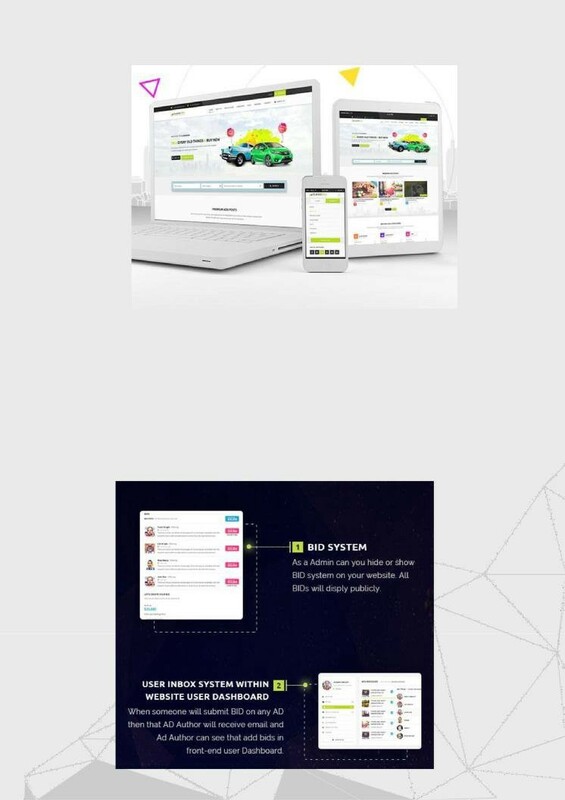 It eliminates a cost from a business while allowing multiple industries to interact with each other. 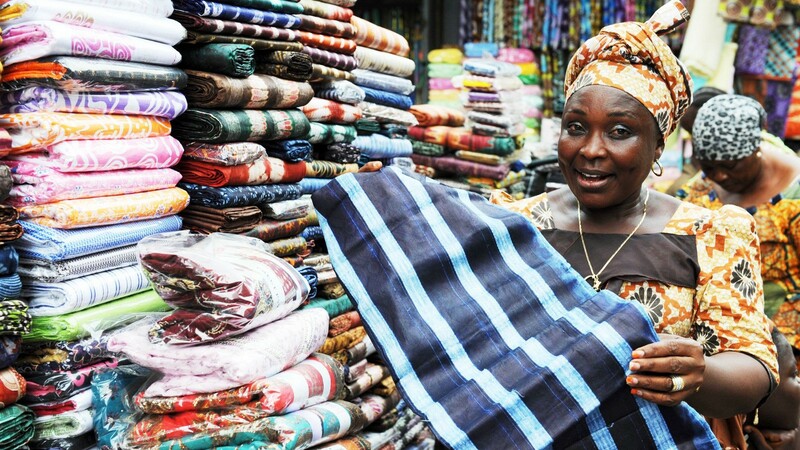 Alkebulan Marketplace Partnership with automobile manufacturers, airlines, malls, cinemas, recreation centers, mobile phone manufacturers, wholesalers and retailers, business organizations, purchase of assets and lots more to accept AlkebulanCoin as a method of payment for their services in Africa, IOS & Andriod App will be designed to make it effective and efficient. Why AlkebulanCoin? Why Africa ?? Why Now ??? We claim for ourselves, for this group AlkebulanCoin Cryptocurrency (AKB), for this project to develop a COIN — not to develop a CURRENCY (!!!). There are hundreds of coins based on the Block-chain Technology, some for charity, some to get rich with. But a (block-chain) currency just for Africa that can be used in every African state, in every town, in every village, in every shop, and between the People doesn’t exist so far. Let this currency be the start of a new time because the time for a United Africa is now. Why should the time be now? Look at Africa, there are a lot of resources in the Ground, there is pure natural energy most of the year (Sun — heat, Water — flow). Why don’t you just use them? Africa is a beautiful continent with prospects and opportunities, African entrepreneurs are visionaries’, big risk takers and hardworking people. A number of advances and stretched upright problems have shared to jeopardize the capacity of small firms in Africa to endure in today’s global economic scheme. Poor infrastructure, lack of financial backing, unable to expand internationally, regional trading blocs using different types of fiat money (paper money) in Africa countries and inability to secure bank loans due to lack of collateral by grassroots entrepreneurs. AlkebulanCoin is a blockchain based cryptocurency designed to tokenize the future of African business and entrepreneurship by building the largest online marketplace in Africa where buying and selling of goods and services will take place through a tokenized system of money. This will help African entrepreneurs to secure the future of their business, having daily profit from their investment, no need to worry about Bank loans and they will be opportune to sell their products to the new growing community of cryptocurrency holders worldwide. BID SYSTEM: All bids will display publicly, this is a very important future of marketing of goods and services. A cryptocurrency platform that allows African Entrepreneurs to bid does not exist so far on the blockchain. GOOGLE MAP INTEGRATED: You can show your Ads on Google Map, You can also select All ads or only Featured ads will be shown on MAP. Holders of AlkebulanCoin post ICO will benefit from an increase in the price of AKB as demand for coins increases. The only way for any entrepreneur to advertise on our platform is to buy coins at market rates. If the site grows, as outlined above, so will the price of AKB coins, this will result in more utility and use on the platform. AlkebulanCoin will release 30 million AlkebulanCoin (AKB) tokens into the market (2. Token Sale) and this amount will be fixed. Newcomers to the site after ICO, or those who have lost and need to chip up again, will need to buy additional AKB. To do this, they will need to buy AKB on the exchange from holders of AKB looking to cash out, these transactions are done at market rates. This structure of fixed supply and increasing demand will cause the price of AKB to rise facilitating a significant return-on-investment for early adopters giving them more playing power on the AKB platform. Here’s simple example: if there’s 5,000 coins in the market spread evenly between 50 entrepreneurs with 50 coins each. Statistically whenever Adverts are over the 50 Entrepreneurs need to purchase AlkebulanCoin again inorder for them to be able to advertise and this demand will increase the value of all tokens. 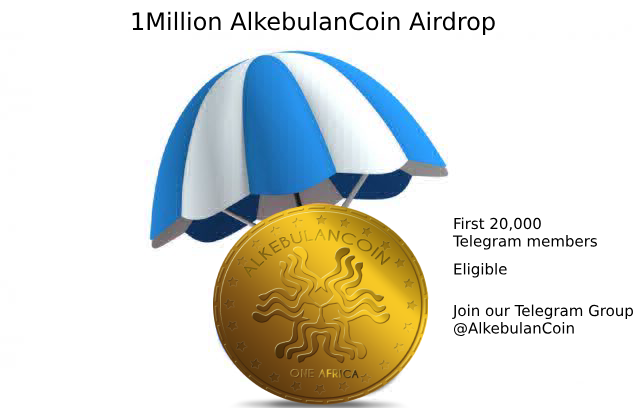 100,000,000 AlkebulanCoin will be airdropped to the wallet of our ICO participants who register on our social media platform after the ICO. 1,000,000 Allocated for campaign tagged Airdrop. Each task will have its link. Remaining 250,000 allocated to referral.